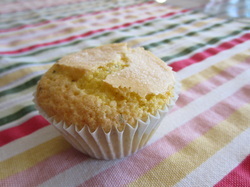 Here are some of the recipes that I've tried and think are worth sharing. This list is a constant work in progress and is by no means complete or definitive, but I do hope it helps as a resource tool for those interested. Cheesecake Factory Cheescake - while I get raves for this when I make it, I've been craving something a little creamier and really want to try the Martha Stewart New York style cheesecake featured on Martha Bakes. 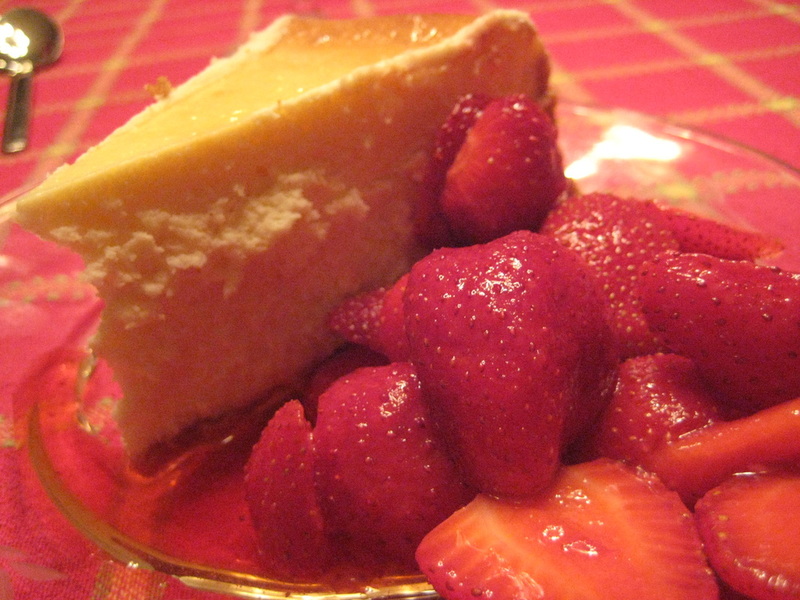 If you're looking for a sure thing, I've never had this Cheesecake Factory recipe crack. (I also just do a basic graham cracker crust, for simplicity's sake). 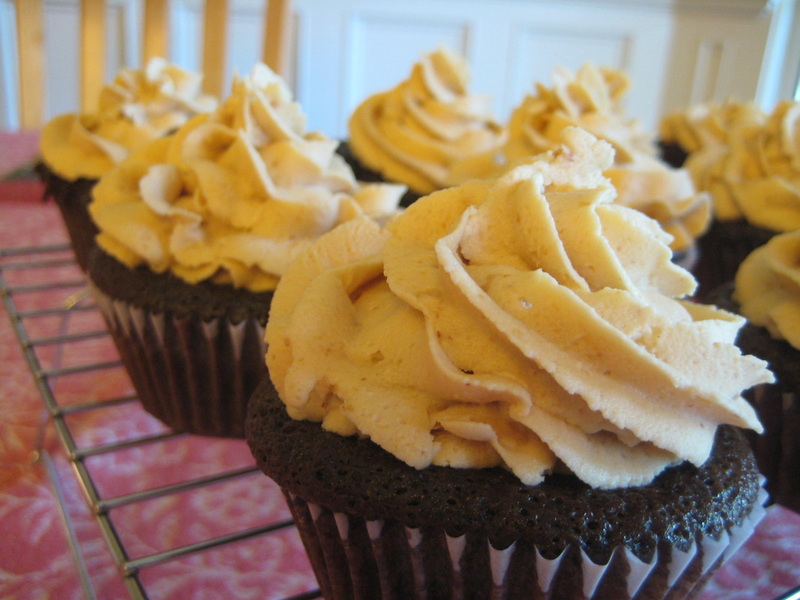 Chocolate sour cream cupcakes with peanut butter frosting. Chocolate peanut butter cake (the cupcakes to the left were frosted with a different peanut butter frosting because I didn't have cream cheese when I made them). But for the love of God and all that is holy, you MUST make the cake exactly as written, because it is amazing/perfect/ohmyholymatrimony good. 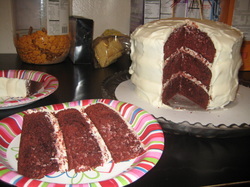 I've tried two different Red Velvet cake recipes, the one pictured to the left and another recipe by Ina Garten for cupcakes. I'm not inclined to make either again. Why, oh why must you be so dry, red velvet cake? 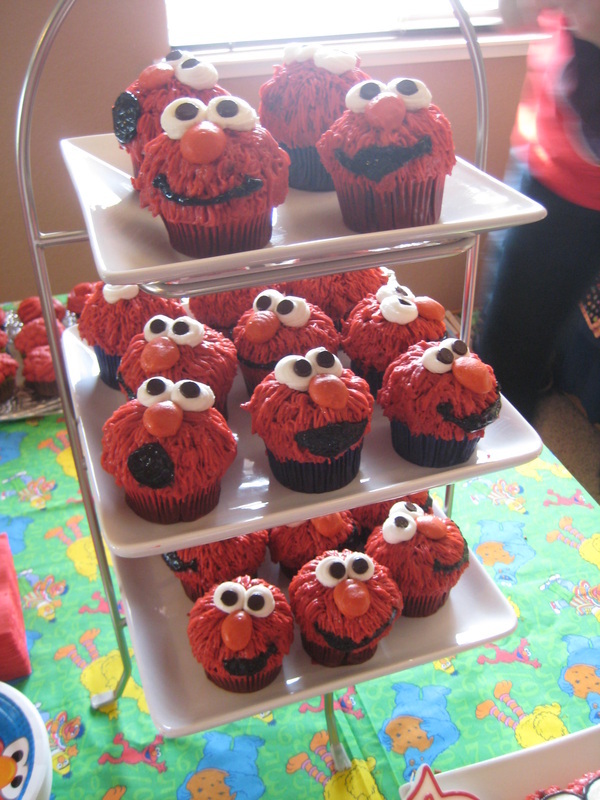 The Elmo cupcakes were created by my cousin Heather (tylerparkerthompson.blogspot.com) and I. The Elmo faces were made by building up the tops of the cupcake with rice crispies, then piping the red fur using wilton tip #233 in buttercream. We then piped the eyes, nose and mouth using various sized round tips in buttercream. From conception to completion, this took about 3 days of work (+ the help of 2 three year olds). In addition to the cupcakes, we made two mini cakes for the boys to eat. I made a paper template to carve out the shape of the eyes from a small round. 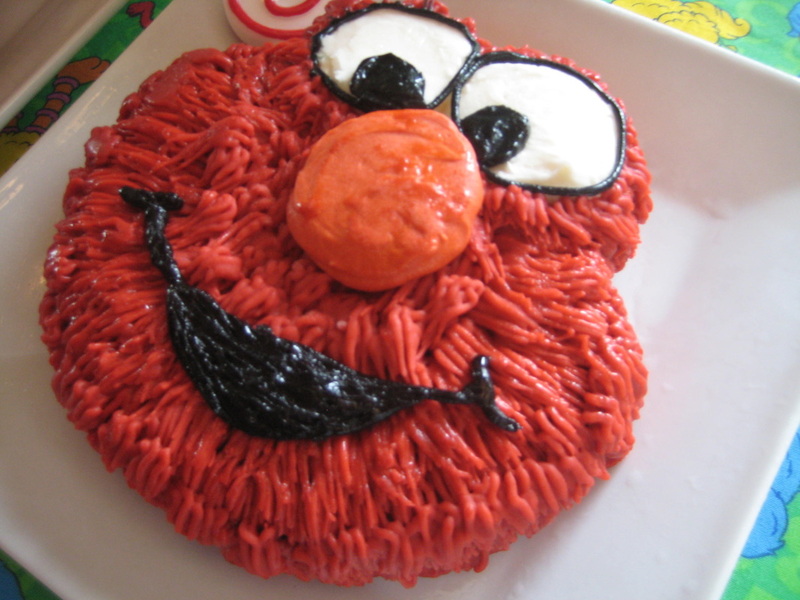 I then piped the fur, eyes, nose and mouth using the same technique as the cupcakes. 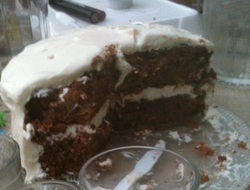 I made Ina Garten's Carrot Pineapple Cake for a friend's birthday to rave reviews. 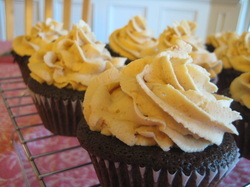 The only change I made was to use canned pineapple tidbits that I chopped. Though I was thrilled with the results, I might try using canned crushed pineapple, drained, to make the pineapple texture more subtle. Overall, totally delicious. This Baklava recipe from the Martha Stewart Show was delicious. 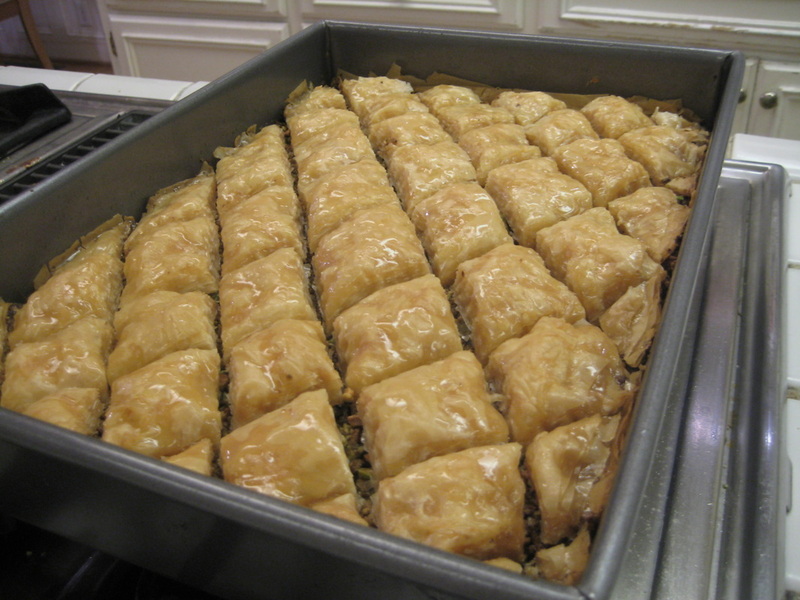 While the the ingredients are a bit pricey and it takes some time to layer the phyllo with the butter, this recipe is definitely a keeper for special occasions.